Lenovo is introducing Lenovo Vibe B latest Smartphone product with affordable rates for its valued customers of the World. 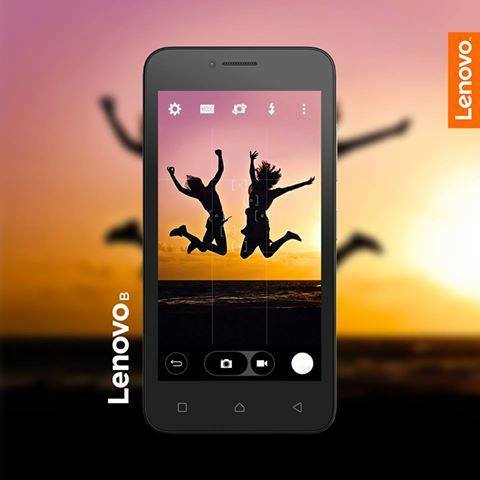 This is amazing Smartphone has launched by Lenovo for all Smartphone users with exceptional incentives. It is providing Android 6.0 Marshmallow system with up-gradable option and this hand-set is providing fastest Quad-core 1.0 GHz processor. It is giving opportunity to use this cellular phone with speedy processor system and users don’t get to face hanging problem while using this Smartphone. Buyers can use multiple mobile applications on a same time without hanging and lagging speedy problem. Vibe B is giving Dual SIM usage option for users and it is also providing opportunity to use multiple latest Smartphone incentives. The best thing of this product is that Lenovo has launched this cellular phone with affordable rates. All the cellular operators who want to use Smartphone in cheap price so this is best product has launched by Lenovo for using stylish Smartphone with countless features in reasonable price. Rear and Front camera options are also available in it with reliable mega pixels. Internet users can also avail 3G and 4G internet service through this mobile phone. Get the complete specification details of this Lenovo cellular phone from the below. Processor:Quad-core 1.0 GHz processor and MTK-6735. ROM: 8 GB Built-In Memory. Rear Camera: 5.0 mega pixels (Fixed-focus). Display Screen Size: 4.5 Inches. Display Pixels: 800 x 480 Display Pixels. Display Colors: 16M Colors and Multi-touch Capacitive display touchscreen. Bluetooth, GPS, GPRS, Micro USB v2.0, WI-FI, WI-FI Hotspot, WLAN, GPRS and WLAN. Messages: SMS, MMS, IM, E-Mail and Push Mail. Battery: 2000 mAh Li-ion (Interchangeable). Ringtones: Polyphonic ringtones, MP3, MP4, Sound-recording, Downloadable and WAV Files. Other Features: Multi-touch display option, Stereo speaker phone, Calendar, GPS Supported, A-GPS Supported, Google search, Document viewer, Compass and Photo/Video editor. Latest Features: Gravitation sensor, Micro slot, External micro SD storage up to 32GB, Long lasting stand by battery feature, LED Flash camera option, Accelerometer sensor,Proximity sensor and Smile detection camera feature. Available Colors: Matte Black and Matte White.